Crystal Cruises offers cruises from San Diego, Los Angeles and San Francisco in California. The selection includes California Coast, Hawaii, Panama Canal, New Zealand, South Pacific, and Christmas cruises. See the details below. Crystal has all-inclusive cruises. Included are free wine, champagne and premium spirits. 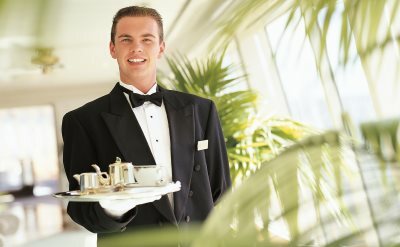 All gratuities are pre-paid. Multiple dining options. Spa. Enrichment programs. It's all included. 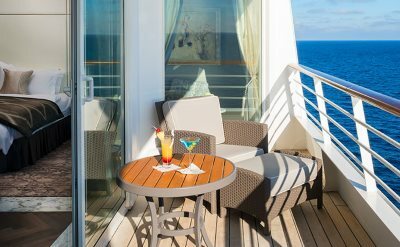 The luxurious award-winning cruise line attracts discerning travelers. 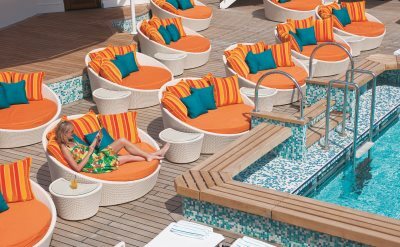 8-day California Coastal cruise on Crystal Symphony. One-way cruise from San Francisco to Vancouver (Canada). Visit Monterey (California), Astoria (Oregon), Seattle (Washington) and Victoria (Canada). 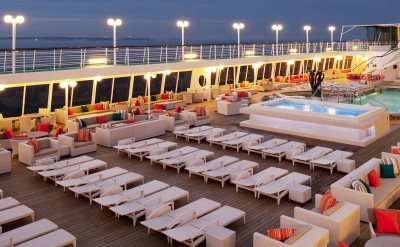 8-day California Coastal cruise on Crystal Symphony. Round-trip cruise from San Diego to Santa Barbara (California), Monterey (California), San Francisco (California), Catalina Island (California) and Ensenada (Mexico). 32-day cruise to China on Crystal Symphony. One-way cruise from San Diego to Hong Kong (China). Visit Honolulu (Hawaii), Maui (Hawaii), Kauai (Hawaii), Majuro (Marshall Islands), Pohnpei (Micronesia), Guam, Saipan (Mariana Islands), Manila (Philippines), Da Nang (Vietnam) and Hanoi (Vietnam). 15 day cruise to Hawaii on Crystal Symphony. Round-trip from San Diego to Honolulu (Hawaii), Kauai (Hawaii), Maui (Hawaii), Kailua-Kona (Hawaii) and Ensenada (Mexico). 13 day cruise to Tahiti on Crystal Serenity. One-way cruise from Los Angeles to Papeete (Tahiti). Visit Nuku Hiva (Marquesas Islands), Rangira (French Polynesia), Bora Bora (Society Islands) and Moorea (Society Islands). 15 day Holidays cruise on Crystal Symphony. Round-trip cruise from San Francisco to Honolulu (Hawaii), Kauai (Hawaii), Maui (Hawaii), Kailua-Kona (Hawaii) and Ensenada (Mexico).